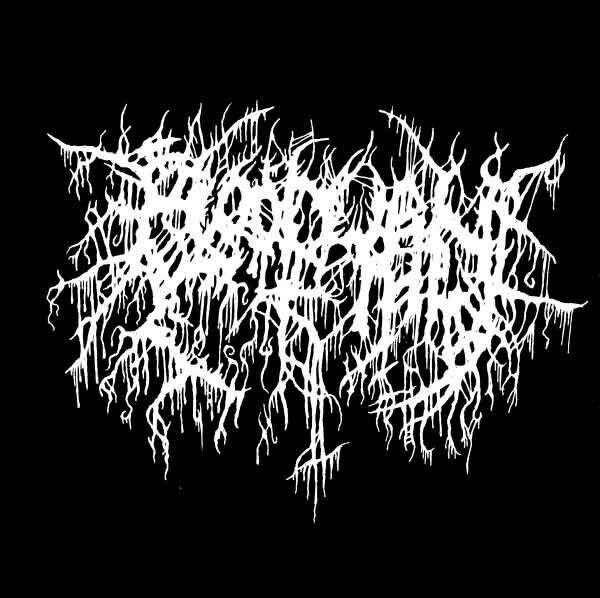 Blood Urn is a death metal project whose approach to the genre is one that can reinvigorate it while being very traditional. 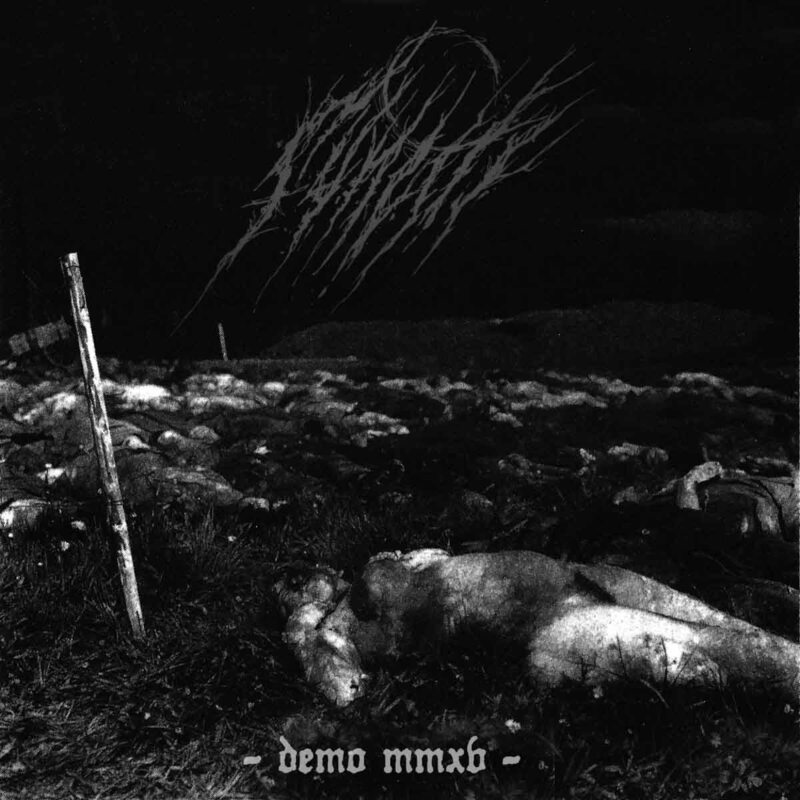 Superficially, a listener who only glances over the surface of …Of Sorcery and Death may incorrectly say this is an old school album, a modern euphemism for retro-acts or merely those who do not play the metalcore-based so-called technical death metal. It is true that this is an old school release, but only in the sense that it upholds the same ideals of the best of that era, including certain preferences in aesthetics as a reflection of an inner attitude — an idea that stands in contrast with the superficial selection of genres and expressions of modern bands that wear style as a change of clothes to pose as something they are not. If we made the mistake of approaching this distinction like most clueless people do, that is, with a shopping list of the aesthetic characteristics that usually accompany a genre in order to identify it, we would definitely arrive at the same conclusions. That is why premises are as important as having good logic. Wrong premises and good logic only lead you safely to wrong conclusions. But if we start with the premise that those aesthetic characteristics are only the reflection of a spirit which is much more than intention or purpose but also crystallized significance, we will recognize that the shopping-list approach is at best a collection of hints and not a concrete definition. Blood Urn …Of Sorcery and Death is a death metal (‘old school’ death metal is the only one, with various regional styles) album in the truest sense. A death metal at heart and in representation. The expressions that seem typical of death metal are used here in what can be accurately described as progressive without incurring in the fallacy that all disparate appending of music qualifies as such. In accordance with death metal tradition, music builds up through structural devices: mainly through variation and manipulation of theme with a climax and a clear musical goal in mind for an end. By musical goal we mean one as defined by traditional classical theory, not by the “good intentions” of the music writer. Intention and realization are two different and distinguishable things, something relativists and individualists would do well to keep in mind. 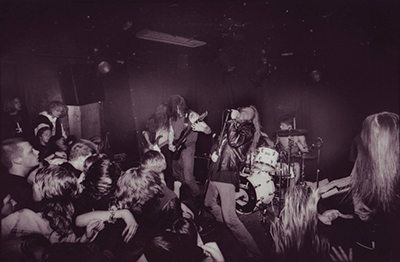 While varied in expression, Blood Urn manages to remain fairly coherent, choosing to tie different textures in a mix that also incorporates the riff-salad approach. In this, it is somewhat similar to the way Horgkomostropus Lúgubre Resurrección builds in a very typical death metal push and pull between structural theme-play and variation and contrasting ideas that are brought gradually into the fold, first as a splash of cold water to the listener and then in gradual integration through interleaving and recombination of sections and themes. It is important to say that in good death metal fashion, the limit of the contrasting ideas does not break away from the chosen style, which is the sin of many a pseudo-prog outfit. 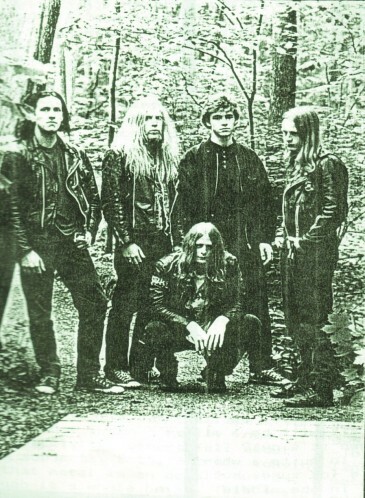 This conjoined approach of dealing structural development from a theme with one and then riff-salad with the other only to increasingly interleave them and sometimes ultimately fuse them into altogether different endings can be referenced in masterful albums such as At the Gates’ The Red in the Sky is Ours and is also the approach of Blood Urn to music composition, albeit with a much more humble and less-layered result. one is able to identify great potential, as some of the elements in the music are very well-written, solid and balanced musically, consistent while not forgetting to create the movement necessary to give life. On the other hand, there are also more regrettable decisions here that can lead a fan of the old school to cringe. What the reader needs to understand is that those who understand the old school have this sort of reactions to many methods of the “new school” because the latter tends to lack a center, favoring whims that border on an experimentalism that is little more than ignorance of composition in its complete sense (and not just attending to its most basic and superficial necessities like playing in a key or using a particular mode). On Le Triomphe du Charnier, Funeste often use arrangements in which three guitars playing distinct parts may be recognized. Sometimes there are only two or even as little as one guitar present. The transitions between these are reasonably smooth although sometimes tend to verge towards the modern tendency of lazy contrast excused as surprise. When the guitars are treated like melody lines, sometimes collaborating, sometimes providing accompaniment and counter-melody, sometimes just forming a mega-riff, Funeste show us the amazing arrangements that can be applied to metal guitar styles without having to sound superficially “neo-classic” or to resort to jazz-mongering. There is a particular element on this album that stands out as the rotten apple in the barrel: the drumming. While in the three-part guitar sections a guitar may sometimes engage in some indulging and completely unjustified (musically unjustified, that is, not connected to the rest of the music very clearly, but just floating as an extra appendage) decoration takes place, the drumming patterns seem disconnected from the music most of the time. It is not enough that the drums play in the correct tempo and time signature, but this instrument also has to blend in with the rest of the music in a way that subordinates it to the whole and not as a self-important and self-agrandizing member. I am sorry if the traditional metal’s balance consisting on having the drums play a supporting role hurts the ego of drummers but mindful and reserved composition should come before anything else. Neo-metalists of recent times take this to be a kind of close-minded imposition on their creativity and will try to release drumming from its subservient role and let it run around unchecked, affirming its presence and new-found freedom as a child who’s been chastized for the least of things throughout his life and grows up to suddenly find himself free of limitations and now runs amok performing actions of painfully self-referential significance. So it is that we find the drumming in this album attempting to take over dominance, fighting it out with the rest of the music, and accounting for the unnecessarily busy feeling of the music that is taken by neo-metallers as “creative complexity”. In truth, this is no more than lazy self-indulgence, this so-called complexity being no more than an increased quantity of notes. The drums should work from within the nature of the movement of melody and harmony to enhance the whole, adding to it not as something else occurring besides the rest of the instruments but as an indispensable breathing apparatus. Commending Funeste on its overall music-organization and especially on its very promising and mostly controlled guitar arrangements is in order. The band’s drummer is more than obviously technically gifted and definitely has talent but he or she must make decision here and now: will you write music as a “musician” looking for technical performance perfection or as a “creator” — a composer trying to give birth to an artistic expression? As a black metal drummer trying to achieve balance, it is recommended that one should first study the work of Fenriz in the albums released with Darkthrone around Transilvanian Hunger, trying to understand how and why he plays what he plays. 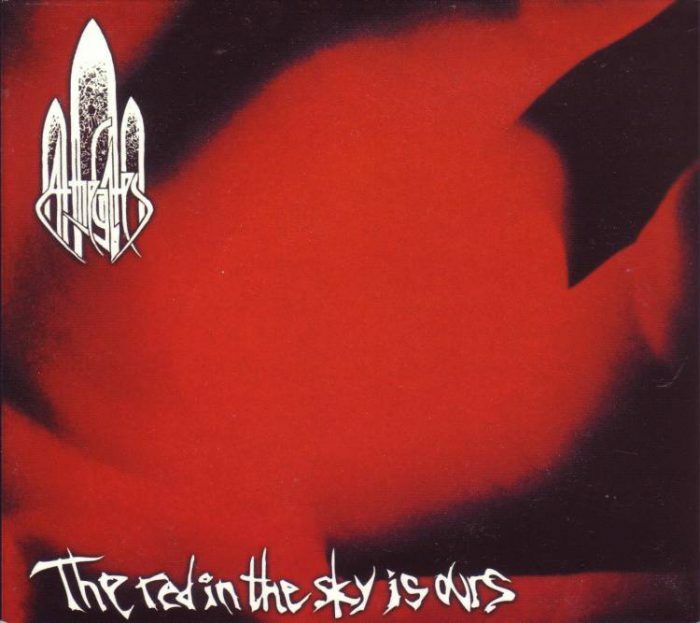 After that a hard and long look at Adrian Erlandsson’s work in At the Gates’ The Red in the Sky is Ours will prove to be an invaluable lesson of drumming giving life to music in creative, varied yet reserved manner as well. Even though to simple minds it might seem that he is just being limited, others might understand his intention towards affording music with the necessary percussion while retaining proportion and a semblance that does not diverge too greatly from the intended concept.